A sculptor and painter, the sister of the painter and mosaic designer Jessie M. McGeehan. After training at GSA and Carlossi's studio in Paris, she worked from home at Raywards, Airdrie, 1894-99, then from a studio at 134 Bath Street, Glasgow, which she shared with her sister, 1899-1903. She reputedly executed architectural sculpture in the city, though probably as the carver of others' models rather than as an independent sculptor. 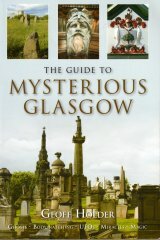 Her only recorded commission in Glasgow was for the four allegorical statues on Manchester House, Sauchiehall Street, carved from models by Albert Hodge (1896, dem. 1973). Her work in bronze includes Maiden Meditation (1894), The Castanet Player (1906), busts of Mrs D. Campbell Royat (1898) and Vincent Murphy, whom she married in 1901. She moved to Clovelly, Waterloo Park, Liverpool, in 1903 then to Clovelly, 24 Platt's Lane, London, 1903-1906, before returning to Liverpool where she lived at Ingle Lodge, Blundelsands, 1906-c.1931. She exhibited paintings, busts and ideal work at the RGIFA 1894-1930, RSA 1895-1916 and RA 1902-1931.